BEIJING -- China called for the creation of a new currency to eventually replace the dollar as the world's standard, proposing a sweeping overhaul of global finance that reflects developing nations' growing unhappiness with the U.S. role in the world economy. The unusual proposal, made by central bank governor Zhou Xiaochuan in an essay released Monday in Beijing, is part of China's increasingly assertive approach to shaping the global response to the financial crisis. David Semple of Van Eck Emerging Markets Fund outlines opportunities in China's real-estate and retail sectors, along with greater stability in Russia. But the situation in Eastern Europe is still uncertain. Polya Lesova reports. Mr. Zhou's proposal comes amid preparations for a summit of the world's industrial and developing nations, the Group of 20, in London next week. At past such meetings, developed nations have criticized China's economic and currency policies. However, the technical and political hurdles to implementing China's recommendation are enormous, so even if backed by other nations, the proposal is unlikely to change the dollar's role in the short term. Central banks around the world hold more U.S. dollars and dollar securities than they do assets denominated in any other individual foreign currency. Such reserves can be used to stabilize the value of the central banks' domestic currencies. In his paper, published in Chinese and English on the central bank's Web site, Mr. Zhou argued for reducing the dominance of a few individual currencies, such as the dollar, euro and yen, in international trade and finance. Most nations concentrate their assets in those reserve currencies, which exaggerates the size of flows and makes financial systems overall more volatile, Mr. Zhou said. John Lipsky, the IMF's deputy managing director, said the Chinese proposal should be treated seriously. "It reflects officials' concerns about improving the stability of the financial system," he said. "It's interesting because of China's unique position, and because the governor put it in a measured and considered way." China's proposal is likely to have significant implications, said Eswar Prasad, a professor of trade policy at Cornell University and former IMF official. "Nobody believes that this is the perfect solution, but by putting this on the table the Chinese have redefined the debate," he said. "It represents a very strong pushback by China on a number of fronts where they feel themselves being pushed around by the advanced countries," such as currency policy and funding for the IMF. 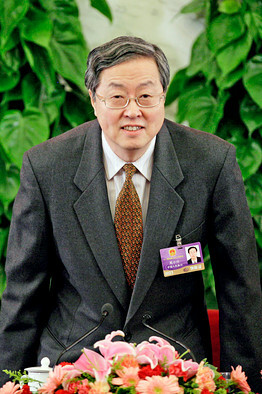 A spokeswoman for the U.S. Treasury Department declined to comment on Mr. Zhou's views. In recent weeks, senior Obama administration officials have sought to reassure Beijing that the current U.S. spending spree is a short-term effort to restart the stalled American economy, not evidence of long-term U.S. profligacy. "The re-establishment of a new and widely accepted reserve currency with a stable valuation benchmark may take a long time," Mr. Zhou said. In remarks earlier Monday, one of his deputies, Hu Xiaolian, also said the dollar's dominant position in international trade and investment is unlikely to change soon. Ms. Hu is in charge of reserve management as the head of China's State Administration of Foreign Exchange. Mr. Zhou's comments -- coming on the heels of Mr. Wen's musing about the safety of China's dollar holdings -- appear to be a warning to the U.S. that it can't expect China to finance its spending indefinitely. The central banker's proposal reflects both China's desire to hold its $1.95 trillion in reserves in something other than U.S. dollars and the fact that Beijing has few alternatives. With more U.S. dollars continuing to pour into China from trade and investment, Beijing has no realistic option other than storing them in U.S. debt. Mr. Zhou argued, without mentioning the dollar by name, that the loss of the dollar's de facto reserve status would benefit the U.S. by avoiding future crises. Because other nations continued to park their money in U.S. dollars, the argument goes, the Federal Reserve was able to pursue an irresponsible policy in recent years, keeping interest rates too low for too long and thereby helping to inflate a bubble in the housing market. "The outbreak of the crisis and its spillover to the entire world reflected the inherent vulnerabilities and systemic risks in the existing international monetary system," Mr. Zhou said. The increasing number and intensity of financial crises suggests "the costs of such a system to the world may have exceeded its benefits." Mr. Zhou isn't the first to make that argument. 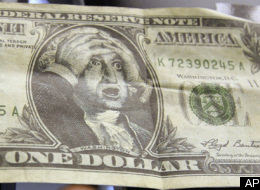 "The dollar reserve system is part of the problem," Joseph Stiglitz, the Columbia University economist, said in a speech in Shanghai last week, because it meant so much of the world's cash was funneled into the U.S. "We need a global reserve system," he said in the speech. Mr. Zhou's idea is to expand the use of "special drawing rights," or SDRs -- a kind of synthetic currency created by the IMF in the 1960s. Its value is determined by a basket of major currencies. Originally, the SDR was intended to serve as a shared currency for international reserves, though that aspect never really got off the ground. These days, the SDR is mainly used in the IMF's accounting for its transactions with member nations. Mr. Zhou suggested countries could increase their contributions to the IMF in exchange for greater access to a pool of reserves in SDRs. Holding more international reserves in SDRs would increase the role and powers of the IMF. That indicates China and other developing nations aren't hostile to international financial institutions -- they just want to have more say in running them. China has resisted the U.S. push to make an immediate loan to the IMF because that wouldn't give China a bigger vote. Ms. Hu said Monday that China, which encourages the IMF to explore other fund-raising options, would consider buying into a bond issue.